Perforated cards and plastic laminator all in one. 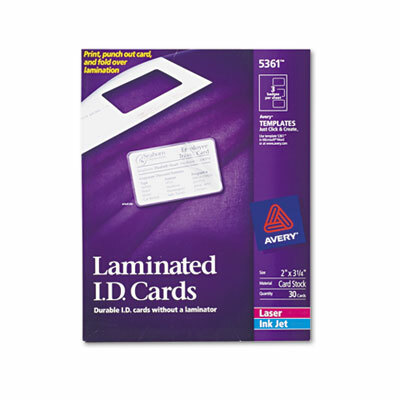 Print, punch out card and fold over clear lamination. Kit includes perforated white cards and plastic laminator all in one. Simply print, punch out card and fold over clear lamination.